Send Your Sweetie a Lollipop Bouquet from EdibleGiftsPlus.com and Support Lollipop Theater Network. Edible Gifts Plus will donate 100% of the proceeds from all lollipop bouquets sold from 7/27 – 8/03 to Lollipop Theater Network! Lollipop Theater Network is a nonprofit organization that brings first run movies to children confined to hospitals due to chronic or life-threatening illnesses. The organization’s goal is to create a fun escape from the daily reality of the illnesses these children face and to offer them and their families a moment of normalcy in an otherwise stressful environment. To create awareness about this important organization, ediblegiftsplus.com is offering one Growing Your Baby reader the opportunity to win a ‘fun in the sun lollipop bucket'(pictured above). This bright colored pail is filled with beach-themed lollipops. Some of the shapes include a sun, beach umbrella, sand toys and boats. Watering Can Flower Cookie Bouquet. Lollipop Theater Network Signature Bouquet. I guess it is the swirl lollipops that does it for me. I love the Smiley Face Lollipop Bucket. I like the Classic Music lollipop bouquet. That’s so cool! I think the Smiley Face lollipop bouquet is so cute. The “You Rock” bouquet is definitely my fave. It had me at the sight of music notes among the bright red of the hearts. The Rainbow Lollipop Bouquet is so darn cute. My friends and I are FROG crazy, so it would have to be the Kiss Me Lollipop Bouquet. I really like the Grand Slam Lollipop Bouquet. 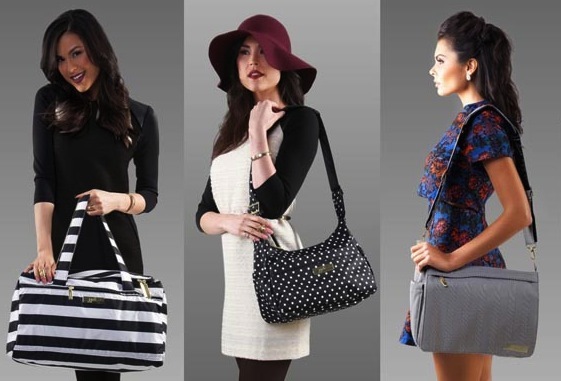 The watering can one is definitely my fave by far!!! My favorite is the Flower Box Lollipop Bouquet-it would cheer even the grumpiest person up! I am now following you on Twitter (ptowngirl). Rainbow Lollipop Birthday Bouquet is my favorite although every item on the site is fetching. I love the “You Rock” Bouquet with the music notes! Thanks for the chance to win one of these! I like the Jack O Lantern Lollipop Boutique. Thanks for the chance. I love the Rainbow Lollipop Bouquet! The Smiley Face Lollipop Bouquet is cute. I like the Smiley Face lollipop boutique. They have so many awesome baskets! I love the Relaxation Spa Care Package. Thanks for the chance! I like the Bear-y Sweet Hugs Lollipop Bouquet. I pick the “YOU ROCK” bouquet. I love the Big Frog Lollipop Bouquet!!! is my fav! My son would love it! This was a very hard decision because everything looks so wonderful but I finally decided on the Lollipop Theater Network Signature Bouquet! I like the Mug of Flowers Lollipop Mug! This would be for my kids: Cassie, 13, Chip, 10, and Angie, 3! The Birthday Bouquet would be perfect for my daughter who will be 13 next month. It’s so hard to pick just one favorite bouquet! The Big Frog and Birthday Bouquets are really cute, but the Colorful Music Lollipop Bouquet is the most unique. Thanks so much for the chance to win the Fun in the Sun Bouquet! Great giveaway! I like the Flower Box bouquet – it’d be like giving a real bouquet, only better. Thank you for the giveaway! My favorite is the flower box lollipop bouquet. I like the Easter Bouquet best. i like the rainbow lollipop bouquet! I love the Grand Slam Lollipop Bouquet. These are all so cute! I love the mug of flowers lollipop mug. I like the Flower Box bouquet. The Barnyard Lollipop Bouquet is awesome. The Candy Hearts and Roses Lollipop Bouquet would be such a cute thing to give on Valentine’s Day! Thanks for the giveaway! I like the Potted ABC’s Lollipop Bouquet! I love the Big Frog Lollipop Bouquet. My favorite is the Picket Fence Lollipop Bouquet. What a wonderful way to send a gift ! I love the Holiday Turkey Basket, it looks like it has a ton of yummy stuff!! I like the lollipop theater network signature bouquet. I love the Mother’s Day Pearl Lollipop Bouquet! I would like the easter krispie treats bouquet. All of these look really great. I’d love to send my friend a Thank You Smiles Lollipop Bouquet for all the help he has given me lately. I think the Classic Music lollipop bouquet is awesome. Rainbow Lollipop Bouquet is so bright and cheerful I just love it. The Holiday Turkey Basket looks like it would be a really fun one to give as a gift. I would like to get the lollipop theater network bouquet. I like the bouquet with the watering can flowering cookie. My favorite is Flower Box Lollipop Bouquet. Touchdown Lollipop Bouquet is nice! I like the thank you smiles lollipop bouquet. I like the Rainbow Birthday Lollipop Bouquet! Rainbow Lollipop Birthday Bouquet is cool! I LOVE the Fruit baskets. My favorite would definitely have to be the Hot Stuff Lollipop Bouquet! I love the Watering Can Flower Can Bouquet–it’s very unique. I like the Party Hat Birthday Cookie Bouquet. It would be perfect to send to my daughter far away at college on her birthday! I like the Fall Break Lollipop Mug. Thanks for the giveaway. Touchdown Lollipop Bouquet is my favorite. It’s almost football season and it has blue ribbons – Go Colts! Love the Mug of Flowers Lollipop Mug! Hop on the Bus is really cute and would be fun to get on your first day of school. I would love the girl’s dress up lollipop bouquet for my 5 year old. I was all ready to select the birthday one since my son’s birthday is coming up, but then I saw it—the Touchdown Lollipop Bouquet!! My son is obsessed with football and plays it so he would LOVE that. My favorite is the Colorful Music Lollipop Bouquet! Lollipop Theater Network Signature Bouquet is cute and colorful! My favorite is the Girls Dress Up Lollipop Bouquet! My girls would just love it. thank you! My favorite is the Rainbow Birthday Lollipop Bouquet! Colorful Music Lollipop Bouquet is my favorite! The Rainbow Birthday Lollipop Bouquet is my fave, beautiful! The Classic Christmas is my fav. Christmas is my fav time of year. I love the Jack-O-Lantern Lollipop Bouquet! I follow you on twitter — doodlebug40. The Flower Box Lollipop Bouquet is so pretty! Rainbow Birthday Lollipop Bouquet is bright and lovely! I like the flower box bouquet! 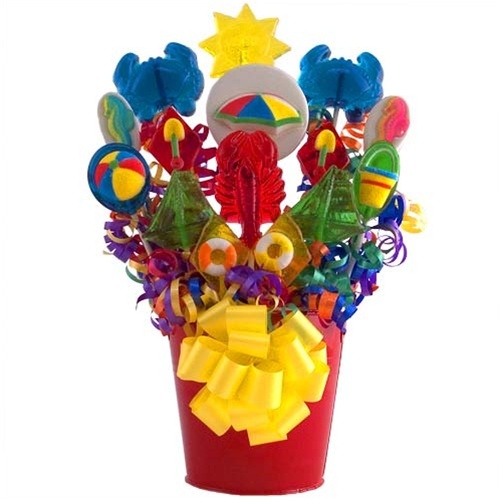 I think the Fun in the Sun Lollipop Bouquet is great, so bright and cheery. Thanks! I like the Kiss Me Lollipop Bouquet. All the arrangements are charming but the Rainbow Birthday Lollipop Bouquest appeals to me most of all. I tweeted here http://twitter.com/janetmom2maya/status/3111817300. I’m also following you so I’ll know about your great giveaways in the future, too! Thanks for doing all the hard work of a contest, I appreciate the opportunity to try new products and win free things for my family. I love the You Rock Lollipop Bouquet! I like the mug of flowers bouquet! I love the Watering Can Flower Cookie Bouquet. My favorite is the Lollipop Theater Network Signature Bouquet! Yum! Thanks! I really like the Smiley Face Lollipop Bouquet – how cute is it?!?! I like the Big Frog! I like the colorful Rainbow Birthday Lollipop Bouquet! Easter Egg Bouquet is so cute! My favorite is the Raimbow Lolipop one! I love the Kiss Me Lollipop Bouquet!